Sai devotees - Sai Students & SBOI-GROUP- www.saibabaofindia.com. The seven day long ritual, Dasara Jnana Saptaha Yajnam concluded on 28th morning with Bhagawan receiving Poornahuthi as Yajna Purusha, witnessed by thousands in a jam-packed Poornachandra Auditorium. Bhagawan who presided over the Yajna blessed the occasion while the final offerings were being made in to the pit; amidst the holy Vedic Chantings. The very name ‘Vijaya’ meaning ‘victory’ summarized the significance of the entire festival of Dasara - the triumph of the good over evil. On the auspicious morning upon entering the Sai Kulwant Hall, Bhagawan granted Darshan to the thousands assembled there after which He blessed the priests with special clothes, in the bhajan hall. Clad in a maroon robe, upon reaching the dais, Bhagawan, after watching the proceedings for sometime asked for the special metal pole through which the final ghee offering was to be done as the concluding part of the Yajna. The Yajna Purusha He is, Bhagawan was invoked by the priests to take His seat to accept the final offering. Surrounded by the priests, amidst loud chanting of the Vedas by the priests and students, and a thundering applause from the multitude of devotees, red flames of the sacred fire rose up to receive a red cloth bundle of offerings along with a continuous stream of ghee. Subsequently He went to the western end of the stage where special Kumkum Archana along with Lalitha Sahasranama Parayanam was being done and received Arati marking the end of seven day long ritual. This was followed by the final lap of Grama Seva 2009, wherein women students of Sathya Sai University along with staff members from the University and Primary School distributed Prasadam to all inmates at their door step inside the ashram, marking the end of ten days of Karma Yajna, started on the 19th of September.Yet another memorable occasion in the annals of Prasanthi Nilayam!!! Earlier, during the six consecutive days, starting from the first day of the Yajna, 22nd September 2009, the archetype assembly of the learned shared their wisdom in the Divine Presence and adding glitter to this archetype assembly came a Divine Discourse lasting ninety minutes wherein Bhagawan dwelled upon in detail on His childhood days. The other speakers who spoke on various days included Prof. Vishwanath Pandit, the current Vice Chancellor, Sri S.V.Giri, IAS (Retd. ), formerly Vice Chancellor, Dr. T.Ravi Kumar on 22nd, Aman Jhaveri and Robin Sharma, students from the University followed by Sri B.N.Narasimhamurthy on 23rd, Sri Sashank Shah, Research Scholar, Akshay Kamath, student from the University followed by Dr. Subhash Subramaniam, faculty member from the University on 24th, Sri V.Srinivasan, All India President of Sri Sathya Sai Seva Organisations, Bhabani Shankar, M.Phil student who spoke in Hindi followed by Srinivasan SriRanagarajan, Controller of Examinations on 25th, Prof. Anantaraman, faculty, MBA Dept., followed by Sri K.Chakravarthi, IAS, Secy, Sri Sathya Sai Central Trust on 26th, Prof. G.Venkataraman, formerly Vice Chancellor, Sri Sathya Sai University on 27th. All these speeches were preceded by rhetoric excellence by Anil Kumar Kamaraju in Telugu who dwelled upon various aspects of the “attributeless” Mother Divine, often peaking with excellent poetic narration. Anil Kumar was the master of the ceremonies for the archetype assembly of scholars. Akshay Kamath in his exhilarating speech urged one and all to follow His path by being aware, by showing gratitude and by acting upon the task. Talking about His omnipresence he narrated a beautiful incident wherein Bhagawan told him that he was aware about everything, referring to an incident wherein the boy translated two hindi lines into English, in the night preceding to a programme in the Divine Presence, sitting under the streetlight, all out of love for Bhagawan. Narrating a beautiful incident involving former Chairman of ICICI Bank, Padmabhushan K.V.Kamath, Sashank Shah mentioned that Mr. Kamath and a group of members from the Saraswat Brahmin community went to their preceptor in Kashi, Sri Sudheendra Teertha asking a question about the true nature of Bhagawan…and they got the right answer…Bhagawan Sri Sathya Sai Baba is the incarnation of the triune principle of Brahma Vishnu and Maheshwara in human form. Dr. Subash Subramaniam, a lecturer from the Sri Sathya Sai University, using the verse, "Anapeksha Suchir-daksha Udaasino gathavyathah; Sarvaarambha Parithyaagi Yo madbhaktah sa me priyah" from the Bhagwad Gita as the backbone of his speech went on to illustrate each of these qualities dear to the lord with an example. Thus, it was that the experiences of Mrs. Sakamma, the Rajmata of Nawanagar, Prof. N. Kasturi and Mr. Rama Brahmam regaled and touched Swami and the audience. Mr. Bhabhani Shankar from the University spoke in Hindi; the speech was rousing and sprinkled amply with humour as he described the glory of the Mother and Swami quoting extensively from many a great people. Mr. Srinivasan SriRangarajan, the Controller of Examinations, spoke on the evolution of man as he asks the three "Why"s. The first one being "Why me" which evolves into "Why not me?" and grows to just "Why" before culminating in the ultimate answer, "Sai". Referring to the Divine Love that is Bhagawan, Prof. Anantaraman said, one could only experience it, but could never understand the same. Calling the gathering at Prasanthi Nilayam a heterogeneous one, the learned scholar in his classic speech displaying rhetoric excellence and mastery over language said that experiences were given to make us richer, to instruct us in the science of being and the art of living. He narrated a beautiful experience, which he preferred to call parables of wisdom, narrating the mysterious style of Divinity showing omnipresence, omnipotence and omniscience ending up teaching us precious lessons. Calling his speech as no reflection of the speech given by the previous speaker, Prof. Anantaraman, admitting that he would often go emotional while speaking about Bhagawan, Mr. K.Chakravarthi, Secretary, Sri Sathy Sai Central Trust said, His story has no beginning and has no end…we all add up to some chapters in His continuing saga…how we write these chapters depend on our earnestness and our humility. We are all given some role by Bhagawan in His great saga of service and sacrifice, of love and mercy, of renewal and redemption…I am constantly humbled by watching the love and devotion, the faith and determination of devotees, young and old, men and women, rich and the poor, the mighty and the meek…I know from the depths of my heart that they, like me, are here not because of any deservedness, but because of His Grace…” said Mr.Chakravarthi in an emotionally charged speech packed with greater wisdom. Ayudha Pooja in Prasanthi Nilayam is atypical with a fleet of cars serving the Divinity getting blessed by Bhagawan, a custom that has been prevalent for years. …And alongwith the same comes the Golden Chariot. 26th Sept, 2009, the scheduled Ayudha Pooja day witnessed Bhagawan blessing various cars bedecked with garlands and neatly parked in Sai Kulwant Hall. Coconuts were broken and chocolates were distributed to everyone. This morning, Swami arrived in Sai Kulwant hall around half-past nine and later moved to the Poornachandra to accept Arati there after ten o'clock. From Sai Kulwant hall, He had blessed two Primary School boys with chains. In the evening, Swami came just before five o'clock and began the speeches after He sat onstage. Prof. Anil Kumar introduced Prof.
G. Venkataraman as today's speaker. Following his speech, Swami started His Discourse at 5.40 pm. Bhagavan began His Discourse with the mysteries of Nature, and it began to rain heavily. After asking those who were getting drenched in the rain to move inside the hall, Swami moved on to speaking about His childhood days at Kamalapuram, Puttaparthi and Uravakonda. Prasadam was distributed following the Discourse, and Swami gave the prasadam Himself to some of the students nearby before Arati at a quarter-past seven. Bhagavan arrived in Sai Kulwant hall just after 9 o'clock this morning. He moved to the Eastern side of the hall where His vehicles including the Golden chariot were parked. The Ayudha pooja was done for all of them and Swami moved to the stage to sit there for a short while with the Vedic chants before accepting Arati at half-past nine. He then moved to the Poornachandra where He sat onstage before accepting Arati there after ten o'clock. In the evening, Bhagavan arrived for darshan just after half-past four and began the programme of speeches just before five. Prof. Anil Kumar spoke in Telugu, followed by Prof. Anantharaman of the MBA faculty and Sri K. Chakravarthy, Secretary of the Central Trust. Prasadam was distributed when the speeches concluded at 6.10. Swami went to the interview room briefly before returning to accept Arati and retire for the day. This morning, Swami did not emerge from His residence but sent word for the students to move to the Yagna venue in the Poornachandra hall at 10 o'clock and for the Arati to be offered there at 11.30. In the evening, He came before five o'clock and began the programme of speeches at 5.20 like on the last few days. Prof. Anil Kumar's introductory Telugu speech was followed by the All India Sai Organisations President Sri V. Srinivasan, an M.Phil. student Bhabani Shankar in Hindi and the University's Controller of Examinations Sri Srinivas Srirangarajan. The speeches concluded at 6.30 and Arati was offered as prasadam was distributed. Today's proceedings were similar to yesterday's in the morning, with darshan at 9 o'clock and Arati at 9.30. In the evening, Swami arrived by 4.35 pm and began the programme of speeches just before five o'clock. Prof Anil Kumar gave a short Telugu speech and then introduced the speakers for the evening. A research scholar Sri Shashank Shah was followed by MBA student Sri Akshay Kamath and lecturer Dr. Subhash Subramaniam. All India Sai Organisations President Sri V. Srinivasan was the last speaker, with the session concluding with Arati at 6.30 pm. This morning, the students proceeded for Grama seva at 8 o'clock and Bhagavan came for darshan half an hour later to Sai Kulwant Hall. Sending the students to the Yagnam venue at the Poornachandra hall, Swami also moved there, coming onstage in a few minutes. Spending nearly half an hour observing the Yagnam in progress, Swami accepted the ceremonial Arati in the Western corner of the stage at 9.30 am before returning to His residence. In the evening, Bhagavan arrived at 4.45 and after His darshan round, began the speeches for the day just after five o'clock. Two student speakers Aman Jhaveri and Robin Sharma were followed by Sri Narasimhamurthy, Warden of the Brindavan hostel. As the speeches concluded at 6.20, the students sang a bhajan following which Arati was offered. The seven day Veda Purusha Saptaha Jnana Yagna commenced this morning. Swami came to the Sai Kulwant Hall and after blessing the priests in the bhajan hall, asked the procession to leave for the Poornachandra auditorium at 9.20 am. After the students and priests reached the Poornachandra hall, Swami also arrived onstage and watched as the priests started the sacrificial fire in the ceremonial manner. Watching the proceedings onstage for a few minutes, Bhagavan returned to His residence at 10.10 am. In the evening, Swami arrived for darshan by four o'clock and sat onstage after His darshan round as the Vedic chants went on before moving to the interview room. At half-past four, He came onstage and began the evening's programme. Prof. Anil Kumar introduced the three speakers for the day: Prof. Vishwanath Pandit, the Vice-Chancellor of Sri Sathya Sai University, former VC Sri. S. V. Giri and Dr. T. Ravi Kumar, faculty in the Chemistry department at Brindavan. As the third speaker concluded, Swami asked for Arati at six o'clock and returned to His residence. The Yagnam evening puja privately in the Poornachandra before concluding at 8 pm. The Seven Day Ritual coinciding the Navarathri Festival, Veda Purusha Saptaaha Jnana Yajna commenced in Prasanthi Nilayam on the 22nd morning in the Poornachandra Auditorium in the immediate Divine Presence. The festival of Dasara, atypical in Prasanthi Nilayam by its conduct and style, brings nostalgic memoirs of the grand festivity of olden days in the immediate Divine Presence. The festivity would get much deserved majesty and grandeur those days with an array of activities tagged to it, apart from the Veda Purusha Saptaha Jnana Yajna that has been a traditional practice once the same was a revived after a short breakage. Dasara of olden days would be a grand spectacle with the spiritual fervour of tens and thousands of devotees thronged to Prasanthi Nilayam met with the benevolence of Greater Heaven resulting in shower of Supreme Benediction. Hoisting of Prasanthi Flag, a symbolic representation of Harmony and Regeneration and Reconstruction of Humanity, annual conferences of All India Prasanthi Vidhwaan Maha Sabha, where scholars would speak on various spiritual topics, grand feast to tens and thousands thronged to Prasanthi, and not the least, series of Divine Discourses suffused with Ultimate Wisdom allied with an array of other activities, all would render resplendence to the week-long affair. The beginning of Vasanta Ritu (spring) and Sharath Ritu (autumn) are two very important events in the Bharatiya Calendar, for they not only signify the change of season but their consequent effect on the human body and mind. These two periods are taken as sacred opportunities for the worship of the Divine Mother in the form of Durga, Lakshmi and Saraswathi in the Bharatabhoomi or India. That is why the festival of Dashara (ten days) or Navaratri (nine nights) is an important festival celebrated all over India with piety and grandeur. At Prasanthi Nilayam, especially during the Sharath-Navaratri that falls every year in or around September - October, people gather in thousands to pay their homage to the Divine Mother incarnated as Bhagawan Sri Sathya Sai Baba. Over the past many years, the festival of Dasara in Prasanthi Nilayam has been closely associated with the ‘Veda Purusha Sapthaha Jnana Yagna’, the week-long sacrificial ritual conducted in the Divine Presence, for the welfare of the whole world. Veda Purusha Saptaaha Jnana Yajna 2009 got underway on the 22nd September in Prasanthi Nilayam in the immediate Divine Presence of Bhagawan. On the auspicious morning the Ritwiks officiating the Yajna were exclusively blessed by Bhagawan in the Bhajan Hall, a usual routine every year. The group of priests, led by Kotla Lakshmi Narasimham, the Chief Priest designated took out a procession wherein the Kalasha blessed by Bhagawan on the previous day was taken to the venue Yajna at Poornachandra Auditorium. The legend has it that Dasara signifies the victory of Devas over Asuras, i.e., Righteousness over the forces of evil. Vouching for this mythical belief, thousands have gathered at Prasanthi Nilayam to celebrate the festivity in the very Divine Presence of Bhagawan, Beloved Mother Sai. With Bhagawan presiding over the Yajna as Veda Purusha, ritwiks lighted the sacred homam creating fire by friction, by rubbing two sticks from churning of two wooden pieces. The homam was carried on by pundits chanting Vedic mantras and making offerings of ghee to the sacred fire. Besides the homam, there were pundits engaged in performing Suryanamaskar, reading holy epics, the Ramayana and the Bhagavata, worshipping thousand lingas of Lord Siva, worship to Lord Ganesha and the Hindu Trinity and other rituals related to the Yajna. As the Yajna has been continuing every morning and with Bhagawan blessing the occasion with brief darshan rounds both at the Sai Kulwant Hall followed by at the venue, at the Poornachandra Auditorium, evening sessions witnessed Prasanthi Vidhwaan Mahasabha, an archetype assembly of the learned that got to share spiritual and practical wisdom in the immediate Divine Presence, a practice that has been there from the Dasara of olden days in Prasanthi Nilayam wherein senior devotees, faculty members and students from the the campuses of Sri Sathya Sai University would share their thoughts in the Divine Presence. The first evening of Prasanthi Vidhwan Mahasabha had three speakers sharing their words of wisdom. The first speaker, Prof. Vishwanath Pandit, Vice Chancellor of Sri Sathya Sai University impressed the gathering on the greater importance of being happy in life by following Bhagawan’s teachings. Referring to the ongoing Grama Seva, Prof. Pandit explained how he could impress upon the special committee set up by the Ministry of Human Resources and Development at Delhi about the service activities being done at the University level following Divine Teachings of Bahgawan, which in turn helped the society to earn a feeling of sharing and caring. Talking on the present day’s business related mentality, highlighting the importance of “sharing and caring”, Prof. Pandit stressed on the greater importance of ceiling on desires. There should be a clear demarcation between need and greed. Happiness is not a byproduct of physical wealth, but is related to how much one can help the society, reminded Prof. Pandit calling upon the students of the University to rise to the expectations of Bhagawan to serve the society. The second speaker Mr. S.V.Giri, formerly Vice Chancellor to Sri Sathya Sai University, calling the festivity a Pan Indian festival that happens all over the country, with the substratum, total love for the Universal Goddess, Durga, Lakshmi, Saraswathi. The underlying significance of Navarathri festivity is one pointed concentration and steady effort to achieve success in our endeavour, said the speaker narrating the legend of Devi’s Tapas done at the point of a needle to overcome the demon Mashishasura. By doing austerities one should be able to develop the mind to a higher level, by not allowing it to be controlled by the senses to achieve success, said Mr. Giri quoting some of the praises from the Lalita Sahasranama. Elucidating on Love that is to be cultivated Mr. Giri observed that duty without love is demonic, duty with love is desirable and Love without Duty is Godly, concluded Mr. Giri. The third speaker, Dr. T. Ravi Kumar, faculty member, Brindavan Campus in an emotionally charged speech spoke about the Divine Love that basked his life all through ever since he was admitted at His Lotus Feet when he lost his physical mother. It was a enthralling parade of wonderful mindboggling experiences telling about the thousand mother’s love Bhagawan has for his devotees. Today, the Grama seva and morning darshan proceeded like yesterday. In the evening, the students and some of the Muslim devotees were ready with a musical programme celebrating Id, the last day of the holy month of Ramzan. Swami arrived in Sai Kulwant Hall at 5.30 pm as the bhajans went on. After His darshan round, He took a round of the verandah and came into the bhajan hall where the priests for the Veda Purusha Saptaha Jnana Yagna were seated. Swami blessed the priests and gave them some instructions for the Yagna which is to begin tomorrow. He then came onstage and asked Mr. Ajit Popat of the UK to speak. Id-Ul Fitr that marks the end of Ramadan, the Islamic holy month of fasting was celebrated in Prasanthi Nilayam in the Divine Presence. Prasanthi’s unique label of Religious Harmony was on display on the festive 21st evening in Sai Kulwant Hall when the holy occasion was celebrated in a simple yet elegant function in the immediate Divine Presence. The programme commenced at 5.45 p.m. with a speech by Ajit Popat from the United Kingdom. Invoking Bhagawan in typical Islamic fashion, the Islamic call to prayer, Mr. Popat dwelt on the significance of fasting during Ramadan and Navaratri. Fasting at physical level was not enough, but the mind should be trained to perform the fast to attain purity. Narrating an interesting incident during the ongoing Grama Seva, Mr. Popat mentioned that when Prasadam was distributed to a devout muslim and family, who received the same after performing the Id Namaz in the local mosque, the devout Muslim and his family thanked Bhagawan for His love and expressed that their prayers had been answered by merciful Allah. This was followed by a speech by Sathya, a class seven boy from Primary School, of Muslim Origin from Iran who spoke on the importance of prayer and fasting during the month of Ramadan. The little speaker stated that it was a great good fortune of all to celebrate the festival of Id in the Divine Presence of Bhagawan. Talking from a personal front, the boy thanked Bhagawan for all the wonderful chances that Bhagawan has been bestowing upon the family during their stay with Him over the years. At the end of his short and sweet speech Bhagawan asked the tiny tot to announce publicly that he has come from Iran and has been in Prasanthi Nilayam for the past five years. These speeches were followed by an enthralling and elevating programme of devotional music, titled “Sai Ke Darbar Mein” by the post graduate students of Sri Sathya Sai University. For the Muslims in and around Puttaparthi, this was a great occasion as Prasanthi’s tag of embracing unity of all religions was yet again on display and thus a special occasion for the minority Muslims who were immensely blessed by the Divine Grace long ago in the year 1978 by His special Divine Grace. Read on for a flashback into the glorious Id festival in 1978 when the Muslims in Puttaparthi had their day in the immediate Divine Presence of Alla Sai. “Sai Baba found that the Muslims of Puttaparthi had to trek about four miles to Bukkapatnam every time they had to pray in a mosque, since they did not have a place of worship in their own village. He called together the Muslims, mostly poor agricultural labourers and artisans and very graciously consulted them on their needs in this regard. Baba in His infinite compassion built a mosque for them in the village, truly an architectural gem, charming, simple and spacious. The mosque was completed and consecrated in time for the Ramzan festival in August this year. Baba welcomed the Muslims into the Prasanthi Nilayam area, when they prayed for permission to sing the pre‑dawn Ram­zan hymns (salaat) before the commence­ment of the daily fast. Another act of Grace was the visit that Bhagawan paid to the Mosque, on the Id Festival day. A large assemblage of Indian and Foreign devotees and also villagers of all faiths were present to share in the joy that Bhagawan gave to the Muslims that day, when He visited the Mosque. Sri. G. Fakh­ruddin the Convener of the village Mosque committee while paying the homage of welcome said that the Muslims of Puttaparthi feel both humble and happy by the gift of a Mosque from Bhagawan. Sri. Fakhruddin said that the Light and Love that shone in and through the found­ers of all religions were physically present in Sathya Sai Baba today. He expressed eternal gratitude to Sai Baba for showing the Muslims the Pathway to God and for re‑inforcing their belief in the univer­sal aspects of all religions. Baba, in His Telugu discourse, which was understood by all the Muslims who gathered there, said that Ramzan was the month when the Holy Quran was revealed to the Prophet Muhammad. It was a divine Com­munication, a Bhagavad Vani, reaching him through waves or Tarangas of Divine Vibrations. The Vedas too were revealed in the same manner by God to the Rishis. The Bible, the Zenda Vesta, and the other great scriptures of other religions also had similar Divine Inspiration as the reason for their validity. Since the Quran originated from God, Baba declared, it cannot be changed or modified, to suit 'changed' conditions. They are all eternal verities. The Quran, according to Baba, contained expositions of the five vital principles or pancha prana of human life: mercy, truth, sacrifice, love and tolerance. These principles, really basic to the good life are emphasised in all religious texts of humanity. If they assimilate the truths declared in the Quran, they can live in full concord with all others. No religion praises violence or falsehood. Baba said that fasting was laid down during the Ramzan, in order to make people experience the benefits of sense‑control and in order to cleanse the spirit and the passions of man, so that he may be rendered fit to approach God. Fasting is also referred to as Upavas; Baba said that Upa means 'near' and vas means `living'. So, Upavas means, living very near God. The Ramzan fast is intended to enable Muslims to set aside all sensory desires and to spend an entire month in the Holy Presence of God. As man gets the cool heartening breeze when he approaches the air‑conditioner, or fan, so too when man approaches God, his sorrows will vanish and he will have his good aspects flourish by His Grace. Cultivate during this Month of God all the Godly qualities, charity, unity, love, service, detachment, tolerance. And, see that you practise them, not only at home, but, spread the joy outside your household also. Fasting entails not merely abstaining from food and drink from sun‑rise to sun‑set, but, the mastery of the more difficult discipline of giving up violence, falsehood, anger, envy, and the maligning of others. One may have to face ridicule and persecution, ob­structions and troubles when he decides to lead the good, holy life. Prophet Muham­mad was persecuted thus and he had to leave Mecca for Medina. Jesus was crucified for the meek and the mute. As the Lord's Will assumes the form of a tree—the Kalpavriksha—in order to be a perennial source of sustenance and sweetness to others, great per­sons have suffered voluntarily, for the sake of their beneficent beliefs. In spite of hurdles and handicaps, Prophet Muhammad did not give up his conviction; He declared that there was only One God and that His Name was Allah. He commanded his disciples to serve mankind, and treat all others as fellow ­beings, children of the same God. Baba called upon the Muslims to study the Gift of God to man, namely the Quran and holds its teachings as valid for all time, because they are universal and basic. At the end of His Discourse, Baba created out of His Will (Sankalpa) seven silver lockets, each with the Arabic Inscription, 'Allah' and gave them over to the Convener, to be distributed among the members of the Mosque Committee. Baba was cheered in great devotion by all the villagers, while the Muslims sang Telugu and Urdu poems prais­ing His Love and Compassion towards all mankind. Earlier upon completing a full round of darshan Bhagawan blessed the group of priests lead by Kotla Lakshmi Narasimham designated to officiate the one week Dasara Jnana Saptaha Yajnam, a routine affair every year. The beautiful evening session dedicated to the Muslim brethrens came to a close at 6.30 p.m. with Arati to Bhagawan. Since the bygone ages, every Avatar that incarnated on this earth had a different style of operation, different tasks to fulfill in different periods of time. Rama Avatar stressed upon Rama Rajya where there was brother hood of Man and father hood of God, Krishna Avatar was unique in its own way who taught the Man- kind pure love and up-liftment of Dharma. Shirdi Avatar was one avatar, where in unity among Muslims and Hindus was stressed. Probably Shirdi Baba knew the kind of rivalry that would arise among Hindus and Muslims during the British rule and especially when Pakistan was divided from India. In Sathya Sai Avatar, our kind Lord is stressing upon the five principles of Sathya, Dharma, Shanthi, Prema and Ahimsa which is a unique thing especially in this period of time. Even though every avatars' modus operandi was different one thing that we see in common is the Divine Magnetic power. That power which drew people from all faiths, all sects and literally every one. That same divine Magnetic power, drew about 3000 devotees from the district (county) of Warangal, Andhra Pradesh, a place well known for its courage, for its warrior ship, for its patriotism. Today was their last day in the holy Parthi. Swami blessed the august gathering with His divine darshan at 5:15pm as every inch of Sai Kulwanth hall and its surroundings was occupied by eagerly awaiting devotees. Swami out of His immense grace, seated majestically in His car chair moved among His beloved devotees blessing every one. After a full round, Swami came on to the dais. As the bhajans were sung with utmost devotion and love, there was this section of people who were singing from the bottom of their hearts, the devotees of Warangal to bless their drama to be performed in His immediate presence as it was their last day. Even though the clock showed 6pm every one were sure that they will get the divine consent and it has happened on many occasions. The all knowing Swami send a word for the district president of Warangal and after 5 minutes Swami asked them to put up the show. All the devotees were seated in their regular places and when Swami showed the green signal for the drama to commence all the students made way for the drama to start. In no time the stage was all set for the beautiful one hour drama entitled JANANI (mother). The drama was in telugu, based on the present day plight of youth who ignore their mother. This was the story of a young army man, who thought it is the gun that saves him and not God. It so happens, he comes home for holidays. Before he came home he plans the entire trip. His mother who loves him so much asks her son to stay with her the next day as well as it was mother's day and she would want to spend the time with her beloved son, who otherwise is away from home the rest of the year. The son replies, Mum I have already planned my trip before hand. Tomorrow I'm going to spend some quality time with my friends, in a restaurant and after that we are going on an excursion. What will I do by staying with you. What can we talk. If I am with my friends, we will have so much fun and joy. The mother unsuccessfully pleads her son to stay but in vain. The next day the son goes out with his friends and there in the street he sees a flower vendor. He then tells his friends, today is Mother's day, let me send her a bouquet so that she is happy and I will also be happy. He then orders the flower vendor to make a bouquet. Just then another young man comes hurrying and asks the flower vendor to make a bouquet bit urgently as he has only 10 minutes. The flower vendor says, that gentle man has already ordered a bouquet so you take his permission so that I make your bouquet. He then goes up to the army man seeks his permission to make his bouquet first. The man asks, why are you in a hurry. The young man replies, my mother will get worried if I am late since I told her that I will see her in 10 minutes. Finally he gets permission. He then gives the flower vendor a rose to put in the middle of the bouquet. Seeing this the army man asks why do you want that particular rose in the middle. The young man replies, this flower is grown in the garden of my mother and it is very dear to her so I want this flower in the middle as it will make her happy. The army man gets more curious about this young man whose flower bouquet was ready by then. He then asks where is your mother. The young man then shows a little building surrounded by a beautiful garden full of roses, colorful butterflies. The army man then says, it looks like a temple of Bhagawan Sri Sathya Sai Baba, but does your mother live here? To which the young man replies, Bhagwan Sri Sathya Sai Baba is my most beloved mother. When I lost my physical mother, Swami took me close to Him gave me all the assistance and is giving me every thing, how can I forget my Mother? It is the worst of the sins. (In the mean time while this episode was enacted, Swami seemed so touched by the boy's statement. His happiness was clearly visible on His most beautiful face). Hearty wishes on the occasion of Navarathri and Ramadan. Being a festive season, Puttaparthi is gearing up with bubbling enthusiasm for the most awaited Dasara festival which is a hectic affair especially in Parthi. Students from all the Campuses are here to participate in grama seva which started today the 19th September. Apart from the students there is also a group of 20 youth from the UK headed by brother Puppet, who are the only non student community blessed by Swami to participate in the grama seva programme which itself is a rare blessing. Sai Kulwanth hall was beautifully decorated on this holy Navarathri festival and the crowd is bit more in the recent past. This morning bhajans commenced at 9am and all the students and staff were wearing white polo t shirts all set to go for the grama seva. As the bhajans started, Swami blessed the august gathering at 10:15am as every one were eagerly awaiting the arrival of our beloved Lord. This noble gesture of Swami has no words to express. Every year when students come to our houses to give us Sarees, Dhoti and food from Swami, hearts are squeezed, tears rolled down. We heard nothing like HOME DELIVERY before and DOMINOS, PIZZA HUT don't exist in our locality but it was Swami who brought the idea of DOOR DELIVERY in our lives. It is a fortune of thousands of births that we are blessed to get gifts from the Lord Himself right to our door step and that too just before the holy Dasara festival which is a big one for all of us. Many a times it reminds, how fortunate we are and Swami gives and gives but what we give to Him in return is something we are not dare enough to disclose. The first day of grama seva will cover Enumalapalli village, Super speciality hospital, Kotha cheruvu and the grama seva will end on28th when the inmates of Prasanthi Nilayam campus will get Swami's Prasad. With humble pranams at the Lotus feet of our beloved Lord..
"....As they left, Swami moved into the Bhajan Hall where the Kalashasthapana was to take place. This is the process by which the deity for the Navarathri is installed. He told the priest there to begin the installation and the priest started chanting. This evening, Bhagavan came for darshan at ten minutes to five and came into the bhajan hall after His darshan round. T-shirts and caps for the men students and sarees for the women students were kept there, for use during the village service programme starting tomorrow. Inspecting the clothes, Swami gave instructions for the distribution. In the next hour, as the bhajans went on, all the materials were distributed to the students and teachers by the Registrar and former Vice-chancellor Sri S. V. Giri before Swami accepted Arati at six o'clock. When Bhagawan asked for an encore of “His Story” as Lord Rama in Burrakatha form, the evening on Wednesday, 16th September turned out to become an epical evening with the sweet nectarous story of Lord Rama got on stage in the immediate Divine Presence of Bhagawan. The ever dedicated bunch of students of the University, whose commitment to Bhagawan knows no bounds, was ever ready and they rejoiced singing the glory of the Lord of Treta, bringing nostalgic memories of the illustrious twins of Lord Rama, Lava and Kusha who took to the streets singing the sweet nectarous story of Lord Rama. In an “epic battle” to re-establish righteousness on a firm footing, the epic of the yore, the story of the glory of Lord Sri Rama enjoys a great run in the immediate Divine Presence of the Avatar of the Age Bhagawan Sri Sathya Sai Baba in Prasanthi Nilayam. The Lord who has painstakingly written the story of His previous incarnation in a much lucid style that has revelations hitherto not made and nuances hitherto not discussed has always been stressing greater importance to the epic. He says, “The Ramayana has been described as the story of Rama, the ideal man. In fact every human, in a way, is Rama Himself, when he embodies the ideals of Rama. Hence, it is imperative on the part of every individual to cultivate the ideals of Rama. The Ramayana enshrines in itself the very essence of the dharma (righteousness) of the individual, family, and society.” He further adds, “Though thousands of years have passed since the story of Rama was first written, the inner story of the Ramayana is being enacted every moment of our life.” …and in Prasanthi Nilayam, His story often takes rounds, acting as a catalyst to bring awareness in the commoners on the ideal life lead by Lord Sri Rama. Ramayana is one of the rarest of and most enchanting of the epics of India, most popular not only in India but also the world over. Lord Sri Rama is attributed to be the Maryadapurushothama, the most ideal being and by following His life story, mankind could benefit immensely to develop in all aspects of life. The Adarsha Purusha, Sri Rama, was a virtuous ideal son, an ideal disciple, an ideal brother, an ideal husband and an ideal ruler. No wonder, the Lord Himself has painstakingly written the most illustrious story of the “Lord of Dharma” ruled eons ago, as Rama Katha Rasa Vahini. The trio, students from Sri Sathya Sai University, Sai Prabhakar, Aravind Sai along with Sai Raghuram, currently pursuing his medical degree after completing post graduation at Sri Sathya Sai University, has been parading their skills in the distinctive art form with blessings, guidance and encouragements from Bhagawan and Prasanthi Nilayam has witnessed number of such Burra Katha sessions over the past couple of years, enacting lives of illustrious souls, disseminating greater messages to humanity, the latest being on the 24th August on the same dais, and the story was the sweet story of Ramayana. The trio also had the rare blessing of staging continuous shows for three to four days in the Divine Presence during this year’s Kodai Sojourn in April. It was the sublime story of the glory of the Avatar of Treta that was brought back into life with expressive narration often intertwined with hasyam (by a clown character delivering comic relief) and music and songs in between. The programme commenced with the traditional “Ganesha Vandana”, “Bhaja Mansa Vigneshwaram…..” after receiving blessings from Bhagawan. This was followed by garlanding of the performers by three designated students, a tradition followed, before the trio went elucidating the glory of Ramayana. to mankind that when man becomes close to God, he does not require or desire anything materialistic. If he departs from Lord’s heart, he would be facing lots of obstacles, the apt example being that of Mother Sita’s agony, when she was deluded by Mareecha turned golden deer….and final narrative was that of the King’s return to Ayodhya as the mighty righteous ruler par excellence, as The Dharma Swaroopa. Though an encore, beautiful story of The Lord in presence of The Lord is ever a revamping experience for the listeners, and diving deep into the ocean Ramayana is not alone a refurbishing experience, but is an experience of our own existence, as Ramayana was not a myth popularized for academic benefit but is the actual story of the Lord meant for every soul of the universe to imbibe and inculcate in his or her lives to become an ideal one. An engrossing one hour, the hall was quite attentive, while Bhagawan was onstage, in rapt attention, witnessing His Own Story, now narrated by His Own Students. Ramayana depicts almost similar scenes wherein the Little Beautiful Children of Mother Sita, the illustrious twins of the Treta Age, Lava and Kusha went into the streets singing the story of the glory of Lord Rama, their beloved father… The programme that lasted about an hour concluded with thunderous appreciative applause by one and all. This morning, the preliminary worship for the Kalyanotsavam was held. As on the last two days, the worship included the chanting of the thousand names, and today it was the Lalita Sahasranamam. When the worship of the deities onstage reached the point of closing the curtain at 9.20 am, the lady singers of the Brindavan bhajan group started leading bhajans. Just after 10 o'clock, the curtains were opened again and more Vedic hymns were chanted before Maha mangala Arati at 10.20 am. In the evening, Bhagavan arrived by 4.10 pm. He was preceded into the Sai Kulwant Hall by the priests waving Chamaras bringing the idols in a procession for the marriage ceremony onstage. The hour-long ceremony began soon after. Swami moved around the verandah and bhajan hall and from the stage, moved down to sit facing the stage while the rituals went on. After the Aandal Kalyanam concluded, Swami asked the students to sing bhajans at 5.40 pm. A couple of bhajans later, He permitted the group of devotees to sing some songs relating to the Aandal Kalyanotsavam. After half an hour of songs, Swami accepted Arati. Prasadam was then distributed to everyone in the hall - tamarind rice, sweet rice, laddoo and obbattu. Divinity ‘deserves’ the best and the occasion, The Divine Marriage of Lord Ranganatha with great devotee Sri Andal, symbolically signifying Divinity’s acceptance of pure devotion, in presence of the Mighty Avatar of the Age deserved the splendor befitting the grandeur of the occasion. The final day, the final session of the three day Andal Kalyanotsavam had the gaiety and splendor of a marriage, not ordinary, but of Divine stature. …And in the presence of the Mighty Lord, the occasion turned out to become a splendorous heavenly treat for the thousands of devotees congregated to witness the proceeding on the concluding day of the three day Thiruppavai Mahotsavam and Andal Mahotsavam. On the auspicious evening the stage was set for the symbolic ritual, representing the grand culmination of Sri Andal’s Divine Romance with Lord Ranganatha of Sri Rangam. Reflecting the grandeur of the occasion, resounding in its tenor, the venue bore the festive look of a royal marriage. A large canvas of Sri Ranganatha’s supine posture in the ocean of milk with Bhagawan ensconced in the centre was suspended in the central part of the hall. Bhagawan came much early at 16:15 Hrs. and the proceedings started once He settled on the dais that was a sight to behold. Flowers and festoons of varied hues parading all over, collage of various fruits adorning central stage of decoration, hanging from the top, huge bunch of coconuts covering the twin pillars, artistic décor with coconut leaves adding beauty and aesthetic sense, the dais reflected the unmatched glory of the Lord of all Lords whose presence was the richness of the heavenly occasion of the Divine marriage on the auspicious evening. …And down in the spacious Sai Kulwant, it was decoration all over, with scores of plantain trees posted at the periphery of the hall, huge pillars draped in colourful floral buntings, apart from the normal decorations. The idols of Sri Rangamannar and Sri Andal were brought in separate palanquins with a regal procession carrying the aesthetically decorated Idols. The symbolic procession that started right in the centre portion of the spacious hall was typical simulating the royal grandeur of an elephant carrying the Lord in procession, popularly known as "GajaNade", the traditional elephant walk. The procession culminated at the dais, the venue for the marriage. Bridal mysticism is one of the nine modes of relationships with the Lord where the relationship is similar to that one between the bride and the groom. The soul of the devotee is the bride and God is the Bridegroom; their union is recognised as the spiritual marriage. The great outpourings of Andal to realise the Lord as her husband are full of this experience of Bridal mysticism. The marriage was performed to the chant of the Vedas. Every item that was offered to the Lord and Sri Andal like Tambulam (banana, a pair of betel leaf and betel nut), Yajnopaveetam (sacred thread), Kankan (protective thread worn in the hand) and Mangalyam (nuptial thread) was blessed by Bhagawan. After garlands were exchanged between the two idols, Mangalyam was tied on Sri Andal by the priests to the shower of flower petals. The magnificently decorated idols were then placed together. Clothes blessed by Bhagawan were offered to the idols. All through the rituals nadaswaram was played supplementing to the festive atmosphere. “You are always with us mother Sai; whenever we are in trouble, you are there to protect us.” At the end of the session the group was blessed by Bhagawan. Sumptuous prasadam of bobattu (sweet puri), laddu, tamarind rice and sweet pongal, in tune with the grandeur of the occasion, was distributed to the huge gathering of devotees and students. Earlier the morning function started with collective chanting of Sri Lalitha Sahasranama with archana (worship). Then Panchamruta Abhishekam was done to the idols with ritualistic precision. After the ceremonial oil bathing of the idols, the abhishekam (ceremonial bath) commenced with milk, honey, turmeric, curd, vermilion and sandalwood paste. As the abhishekam was in progress, Vedic Mantras like Purusha Suktam, Sri Suktam and the remaining 21-30 pasurams were chanted by the priests. After abhishekam, the idols were decorated with Tulasi (basil) garland. Arati was offered to the idols after every abhishekam. The morning session concluded with bhajans and arati. such occasion other than in Prasanthi Nilayam wherein the glory of the occasion multiplies to infinite proportions by the mere presence of the Almighty Avatar of the Age, witnessing and sanctifying the grand occasion. It was the turn of Sri Ramakrishna Iyer serving in the Publications Division of Sri Sathya Sai Sadhana Trust to offer rose to Bhagawan this evening. Arati was offered to Bhagawan at 1815 hours before Bhagawan retired to His Divine Abode, Yajur Mandiram. Today, the morning rituals proceeded like yesterday, with the Sathya Sai Sahasranamam being chanted for the worship. Bhagavan came for darshan at 5.10 pm and sat onstage listening to the Vedic chants after His darshan round. At 5.50 pm, the speeches for the evening commenced. Sri Mylavaram Srinivasa Rao spoke on today's verses of the Thiruppavai in Telugu for 50 minutes. Swami then accepted Arati as prasadam was distributed. Comparing the body to an anthill, the speaker said that the body should be used to chant God’s name. Rain or shine, the anthill remains intact. The anthill of body is the outer casing that enshrines the precious Atma. So, the body should be put to good use. It is considered auspicious to pour milk on the pit of an anthill on the day of Sashti in the month of Margasira. We should consider that the act of pouring milk is to improve our Jnana (wisdom). The learned speaker said that we should not cause grief to anyone. Oh Krishna, please dance on our heads as You did to Kaliya, the serpent to vanquish its ego. May our evil qualities be eradicated! Samasta Lokah Sukhino Bhavantu (May all the beings of all the worlds be happy!) was the motto of Goda Devi. She wanted everyone to sing the name of the Lord and attain His grace. It is only symbolic to sing Suprabhatam to wake up the Lord. In fact, the Lord never sleeps. It is only that we are waking up our inner consciousness, said Dr. Srinivas Rao. 16,000 gopikas were with Krishna, the vanaras were with Sri Rama, we are indeed fortunate to be with Bhagawan and have His darshan (sight), sparshan (touch) and sambhashan (speech). Sri Andal coaxes the gopikas sweetly, “Oh gopikas! Get up from your slumber, we are going to wake up Sri Mahavishnu by singing His name.” In the 14th parsuram, Sri Andal says that we are going to have the darshan of Kannan (Lord Krishna) in His beauteous form of Shanka (conch) and Chakra (discus) on His two hands. She again exhorts the gopikas not to be slack. Sri Andal’s devotion to the Lord cannot be matched by words. She pines repeatedly to have the darshan of the Lord. The speaker said that we sing the glory of God early in the morning so that our whole day would be spent in the contemplation of God in spite of our busy schedule going through our daily rigmaroles. Dr. Mylavaram Srinivas Rao ended his speech by again offering his salutations to Bhagawan and saying that the remaining 21-30 pasurams would be explained tomorrow. The proceedings of the second day of this Mahotsavam started in the morning at 7.30 with puja and parayana of 11-20 pasurams of Thiruppavai. This was followed by collective chanting of Sri Sathya Sai Sahasranama (1008 names) Archana (worship). After Bhajan and Arati, the morning session concluded. The programme for the evening started with Nithya Puja. Bhagawan came at 17:10 Hrs. showering benediction on the vast concourse of devotees. And onstage, the sight of the deity, Lord Ranganatha, in reclining posture bedecked with golden ornaments and Godly attire, as "Divinity deserves", was a sight to behold! The Lord was shining in splendour! Coming onstage, Bhagawan blessed Sri Srikanta Rao to introduce the guest speaker for the day, Dr. Mylavaram Srinivas Rao from Guntur. Dr. Srinivas Rao worked as Principal in his profession and has given speeches on varied occasions to the Telugu audience on the inner significance of Ramayana, Bhagavata, Lalita Sahasranama, Margasira Masa, etc. He regularly appears in programmes for Maa TV, Doordarshan, ETV, etc. He is also credited for introducing the Ramayana and the Mahabharata to the overseas audience. The three day Thiruppavai celebrations got underway at Prasanthi Nilayam this morning. The idols of Ranganatha, Bhoodevi (Andal) and Garuda were installed onstage and the worship began in Sai Kulwant hall just after seven o'clock. Yesterday, Swami had blessed the people conducting the rituals with ceremonial clothes which they wore today. On completing the rituals, a short introduction to the three day programme was made in Telugu. Collective worship with sacred rice grains on the plates supplied to all the devotees chanting the Vishnu sahasranamam completed the morning rituals. The proceedings concluded after morning bhajans with Arati at 9.35 as Bhagavan did not emerge from His residence. Later, He went for a drive at half-past eleven. In the evening also, Swami came from Yajur Mandir in the car at 4.15 and went for a drive to the Indoor Stadium before returning to Sai Kulwant hall after an hour. From the interview room Swami came onstage 10 minutes later to begin the proceedings. Sri. N. Srikanta Rao delivered a half-hour address in Telugu about Aandal (Godhaa devi) and her devotion. Bhajans then commenced at 6 o'clock and prasadam was distributed before Swami accepted Arati and returned to His residence at half-past six. Andal, a Tamil saint is known all over the world for her unparalleled devotion to Lord Krishna. She is said to be always immersed in her devotional ecstasy. Andal is known in the Tamil language as an Alwar, one who is “immersed” in the depths of enjoyment of God. Of the twelve Alwars, Andal is the only female Alwar of Vaishnavism. These saints revitilised the Tamil region of South India between the fifth and ninth centuries by their dedicated devotion for the Lord. She is credited with the Tamil works of Thiruppavai and Nachiar Thirumozhi which are still recited by the devout in the month of Margasira. The Srivilliputhoor temple is dedicated to her and is also her birthplace. It is a well known fact that Mother Sita, the consort of Sri Rama was found in the royal gardens of Mithila by Janaka Maharaja. Andal was born as the incarnation of Bhudevi in the garden of Vishnuchittar under a Tulasi plant. Sri Vishnuchittar was endowed with the title of “Periazhwar” meaning “the most enlightened who could rule over the Lord Himself.” Periazhwar raised Andal with great love, affectionately calling her as “Godai (child of the earth) or “Kodai” (garland of flowers) and enchanting her with stories of Krishna. As a result, Andal developed deep love for Krishna and considered herself as God’s bride. This love for her Lord blossomed into the immortal work “Thiruppavai.” Andal was so profoundly enthralled by the Bhakti of Gopis and the deeds of Krishna in Mathura and Brindavan during the Dwapara Yuga (aeon) that she too desperately wanted to immerse in the Divine experience. Sri Thiruppavai Mahotsavam is a three-day programme culminating on the afternoon of 11th September with Sri Andal Kalyanotsavam. Sai Kulwant Hall was elaborately decorated with flowers; the periphery of the hall was punctuated with the portraits of the 12 Alwars. On the dais of the hall was installed the lustrous idols of Sri Rangamannar in the centre and Sri Andal and Sri Garudalwar on either side. The festivities began on the morning of 9th September 2009 at 7 a.m. with Swasti Vachanam (in Krishna Yajus, there is a topic called Swasti Vachanam, which comprises 4 Anuvakas. These Anuvakas are recited during Utsava Parayana, accompanying the Acharyas and such other occasions). Then the Prathishtaapana (ritualistic installation of the idols) and Puja (worship) of the idols in the centre of the dais was done. Parayana of 1-10 Pasurams (an eight-lined verse) of Thiruppavai was performed by the priests with devotional fervour. Collective chanting of Sri Vishnu Sahasranama (1008 names of Vishnu) was then done by all devotees present in the hall with Akshatas (sanctified rice) supplied by the organisers. The morning programme came to a close with Bhajan and Arati at 9.40. The function is being conducted by 7 priests headed by Sri Gopala Bhattar. The proceedings for the evening started with Puja at 4.00. 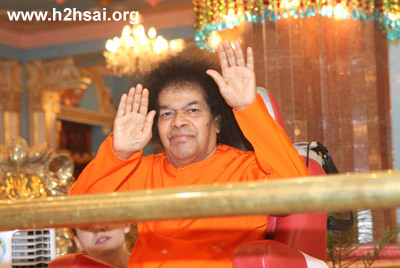 Bhagawan came to the hall at 4.15 and proceeded to the Sri Sathya Sai International Centre for Sports. He returned to Sai Kulwant Hall at 5.10 p.m. The speaker for the evening was Vidwan (scholar) Nidumaamidi Sri Srikanta Rao on the inner significance of Thiruppavai. Offering his salutations to Bhagawan, the erudite speaker said that Thiruppavai was suffused with Bhakti Rasa (essence of Bhakti). Beginning his speech with the circumstances leading to birth of Sri Andal (explained earlier), Sri Srikanta Rao said that Andal was called Choodikonda Nachiyar, since she wore the garland before it was placed on the idol of the Lord. Sri Andal transformed herself into a Yadava girl of Mathura and beseeched the Lord for His love. She undertook a vrata (vow) much similar to the Karthiyayani Vrata of the Gopis of Brindavan beginning on the first day of Margasira (mid-December to mid-January) and adorning each day of the month with a new Pasuram. Sri Andal wanted all women to perform the Vrata and earn the grace of the Lord, said the speaker. Thiruppavai is a mangalakara (sacred and auspicious) vrata. In Tamil language, this text is very revered and placed on an exalted state. There is Advaita Tattwa in Thiruppavai since she worshipped the Lord with one-pointed devotion, said the learned speaker. Thiruppavai function is held for Loka Kalyanam (good of the world). There are 30 Pasurams in Thiruppavai, on each day of the three-day function, 10 Pasurams will be chanted. Explaining the first Pasuram of Thiruppavai – “Margazhi Thingal …”, Sri Srikanta Rao said that the month of margazhi (margasira) is very sacred. Even Lord Krishna in the Bhagavad Gita says, “Masaanam Margasirshohum” (among the months, I am margasira). It is important for one to take a sacred bath. By sacred bath, the learned speaker said is to take bath chanting the name of the Lord. If we do such vrata, we will attain Narayana, he said. In the second Pasuram, Sri Andal further reiterates that one should chant the name of the Lord contemplating on His form while taking bath and then do the vrata. This vrata should be done to attain the grace of the Lord. Continuing his speech, Sri Srikanta Rao said that in the third Pasuram, Sri Andal waxes eloquent praises on the Vamana Avatar. He transforms Himself into virat swarupa (gigantic form), having taken the form of a dwarf. Samasta jiva sukhino bhavantu! (may all individuals of all the worlds be happy!) is the undercurrent of the sacred text Thiruppavai. When Vishnuchittar comes to know that Sri Andal was wearing the garland before offering to the Lord, he takes offence and feels that a sin was being committed all these days by not offering a fresh garland to the Lord. He does not offer the garland to the Lord on that day. Lord Narayana appears in the dream of Vishnuchittar that night and says that He wants only the garland worn by Sri Andal. Such was the devotion of Sri Andal, opined the speaker. Even a small leaf, flower or water offered with a sacred heart is enough for the Lord; He will accept it gladly. Goda Devi, as Sri Andal was called used to beckon everyone to sing Nagarsankirtan in Srivilliputhoor. While singing the name of the Lord, one should not think of worldly matters. Lord Krishna says there are eight types of flowers like santhi pushpam, daya pushpam … One should offer the flower of mind to the Lord. Sri Srikanta Rao ended his speech by saying that the spiritual teaching of Andal Kalyanam was to bestow peace, prosperity and happiness to the whole world. After a few bhajans, prasadam was distributed to everyone present in the hall. This evening it was the turn of Sri Vaidyanathan serving in the Book Stall of Sri Sathya Sai Sadhana Trust, Publications Division to offer rose to the Lord. Arati was offered to Bhagawan at 6.15 p.m. Thus, ended the first day function of Sri Thiruppavai Mahotsavam. This evening, Swami's students who are working in His institutions were gathered in the Bhajan Hall, praying to Him to bless them with an interaction. This 'Sai Sannidhi' group is now 175 strong and has been meeting on the Sunday near September 2, which is the anniversary of the establishment of the Sri Sathya Sai Central Trust. Swami came for darshan just after five o'clock and after His darshan round, came to the Bhajan hall where the gathering welcomed Him with group songs. As the songs went on, Bhagavan went around the hall, interacting with many of them. After a couple of songs, Swami spent 45 minutes speaking informally to many of His former students, who are now teachers and administrators. Sending clothes for all of them, Swami moved to the stage as the bhajans began after the session just after six o'clock. After half an hour of bhajans with prasadam being distributed, Swami accepted Arati and returned to His residence, blessing all with both hands. Thiru Onam dawned at Prasanthi Nilayam with Sai Kulwant hall and Yajur Mandir decked in festoons and floral decorations. Swami was welcomed into the hall with resounding Panchavadyam by the students and devotees and the girls' brass band of the Srisailam school as the bhajans went on at 9.30 am. Small girls with traditional lamp plates lined Bhagavan's route. Once He sat onstage after His darshan round, He listened to the bhajans for half an hour more before asking Prof. Anil Kumar to announce that He would address everyone in the evening. Accepting Arati, Swami went to the interview room for a few minutes before returning to His residence at half-past ten.